Bhutan is one of the best destination for tour and travel ..The current population is 750,000 with a density of about 11 people per square kilometer throughout all of Bhutan.The main language in Bhutan “Kuzuzangpo, which means, “Is your body well? Bhutan is small, but mountainous country.The current population is 750,000 with a dens ity of about 11 people per square kilometer throughout all of Bhutan.The main language in Bhutan is Dzongkha. The most common greeting to one and another is “Kuzuzangpo, ? which means, “Is your body well? ? This shows that Bhutanese people care about their body, and are more spiritual than most. Bhutan is the first country in the world with specific constitutional obligations on its people to protect the environment. Among its requirements: At least 60 percent of the nation must remain under forest cover forever. Bhutan (authoritatively termed Kingdom of Bhutan) is a minor country in the Himalaya Mountains of South Asia. 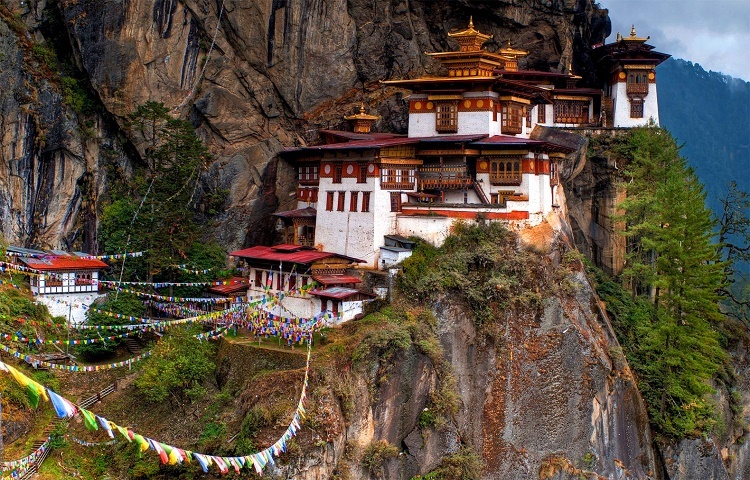 Bhutan Tour is a traditional spectacular in two stunning South-Asian homelands. On our expedition we get an indication of Nepal while expenditure most of our time in the Land of the Rumble Dragon, Bhutan. In Kathmandu, we visit numerous UNESCO World Heritage Sites before flying to Paro, Bhutan. In Bhutan, we travel to many settlements and tour several dzongs (fortifications), temples, and other cultural and historical landmarks. While in Bhutan, we also pass through the high Dochu La pass and hike to the enchanting Taktsang (Tiger’s Nest) Cloister. Conversely, our Nepal and Bhutan Tour does not end here. We fly back to Kathmandu and visit Patan and Bhaktapur metropolises that have enchanted masses of tourists over the years with its antique construction and rich traditional heritage. Flight from Kathmandu to Paro over one of the virgin mountain ranges from Kathmandu in the morning with Druk Air, then driving to thimphu-the capital state of Bhutan. Meet our representative at the airport and transfer is provided to Thimphu, the capital of Bhutan (65 kms/2 hrs). Stay overnight at hotel. After having breakfast we will visit the national library, painting school, famous for traditional Bhutanese painting, The traditional Medicine Institute, the Memorial Chorten built in memory of the late king of Bhutan, Tashichhodzong (beautiful medieval fortress which houses the king’s throne room) and is the summer residence of the head abbot of Bhutan and the handicraft emporium, it displays wide range of beautiful hand woven and crafted products. Stay overnight at hotel. Early morning, we'll drive to Dochula (3100m). If the weather permits, you will have the view of the beautiful mountain ranges to the northeast. Lunch will be provided at Wangdiphodrang. Proceed to Trongsa across Pelila Pass (3300 m); a large prayer flag marks the pass. Stop en-route at Chendbji Chorten. On arrival at Trongsa, check into a lodge for overnight stay. After breakfast, visit the Trongsa Dzong and visit the Ta Dzong. Then drive to Bumthang. After lunch in Bumthang, visit Kurje Lhankhang, Jambey Lhankhang (one of the 108 monasteries built by the Tibetan King in the 7th century), Tamshing monastery, the Jakar Dzong (the administrative center of the region) and the Swiss farmhouse. Stay overnight at a lodge in Bumthang. After breakfast, explore the fascinating valley of Bumthang. Lunch will be provided in Trongsa. Before arriving Punakha en-route visit the Wangdiphodrang Dzong and the local market. Evening at leisure. Stay overnight at a hotel in Punakha. After having breakfast we visit to the Punakha Dzong. After lunch, proceed to Paro en-route visit Chimme Lhankhang (famous for shaking off the sterile curse, built by Lama Drukpa Kinley, the divine mad man). Stay overnight at a hotel. After having breakfast we start our sightseeing of Paro. 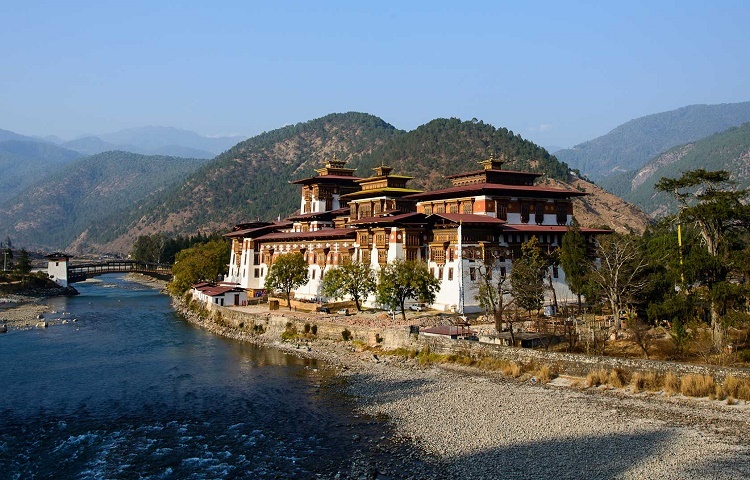 We'll visit Ta Dzong and Paro Dzong. In the afternoon we hike to Taktsang monastery. Stay overnight at a hotel. After finishing your trip transfer to airport. Your guide will help you with the airport formalities. Fly back to Kathmandu. Transfer to a hotel in Kathmandu.